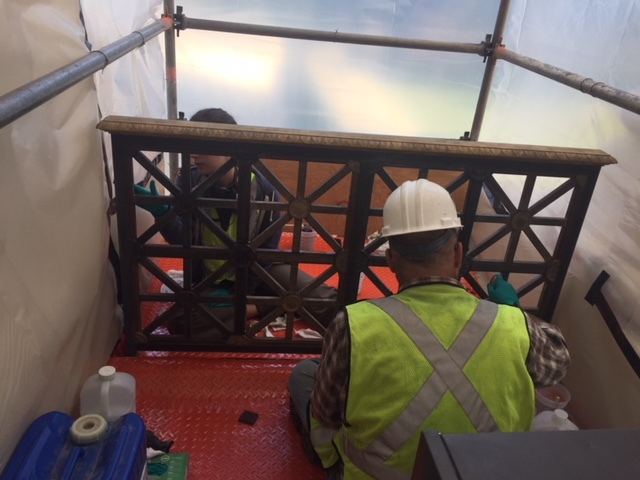 We conserved the bronze railings at the entrance to the US Supreme Court building in Washington DC between 2016-2017. 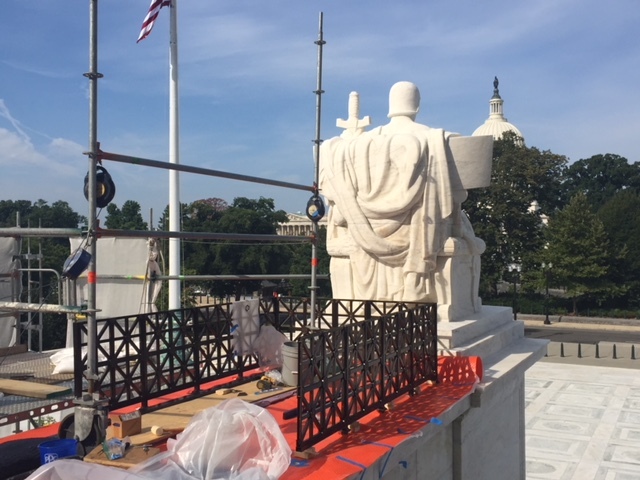 Four railings and grilles within the portico were from the original 1930’s Cass Gilbert design while the set of railings on the cheek walls date to the mid 1970’s. 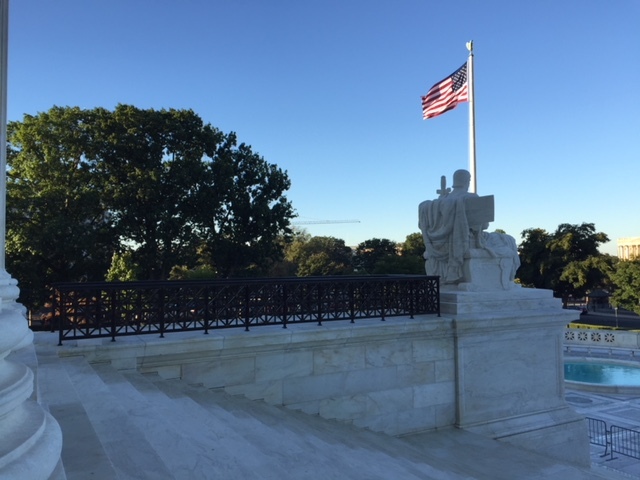 Although they resemble the original desings the later railing used different materials and construction techniques. 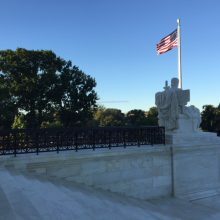 Each has lost its protective coatings and deteriorated from decades of exposure. 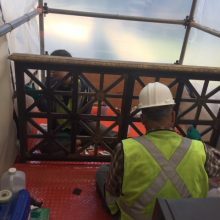 Services provided included: cleaning each of corrosion and failed coatings using low pressure micro air abrasion, repatinating all elements to match the historic appearance and Court’s selected mockups, and applying a very thorough corrosion resisting coating system. 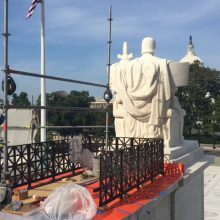 The 1970s railings were removed and treated in our studios while the railing within the portico were treated on site.